Our label releases are supported by the likes of Marco Carola [Music On], Monki [Radio 1], Rob Da Bank [Radio 1], Louie Vega, Roger Sanchez, Carl Cox, Richie Hawtin [Enter – Space Ibiza], Vanilla Ace and many more. The label just keeps growing with more huge tracks in the pipeline. This label releases everything disco, house & techno of all kinds. 33 Muisc is for Dan McKie and friends. Dan McKie releases his own productions plus one remix. He also signs house & techno of which he wants to remix. 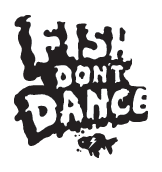 Fish Don’t Dance originally started as the label night for 1980 Recordings. This brand is now a label, events (for all thing Dan McKie) plus a syndicated radioshow. Expect everything disco, house, deep & techno from Fish Don’t Dance. We Are Phonik is everything but house and techno. This label focus on synchs to TV, Games, Film and a like. This is a multiple genre label, we sign indie, jazz, ambient, Balearic, pop, singer/songwriter, electronica, commercial dance and more. MC1R Records is a compilations only label. The MC1R recessive variant gene that gives people red hair generally results in skin that is unable to tan (MC1R is also the code for ginger white male across police radio’s in the uk).